Our ANPS Spring 2012 meeting drew a good crowd up to Jonesboro and Crowley’s Ridge in northeast Arkansas. Saturday field trips to Crowley’s Ridge State Park and to the Arkansas Game and Fish Forrest L. Wood Crowley’s Ridge Nature Center were excellent, however with temperatures into the 90s, enthusiasm for outdoor botanizing faded after lunch. Brent Baker—with the help of Meghan Foard and David Burge, graduate students of Travis Marsico, and Jennifer Ogle, graduate student at the University of Arkansas at Fayetteville —and Eric Sundell led the trips at the state park, Larry Lowman and Travis the trips to the nature center, with Travis’s former colleague at UARK Sarah Nunn and his grad student Kari Harris helping out on the afternoon walk. Larry gave folks a tour of the nature center native plant garden that he had designed for the Game & Fish Commission several years ago. Here are just a few of the memorable plant moments: A waist-high green dragon, Arisaema dracontium, at the nature center. 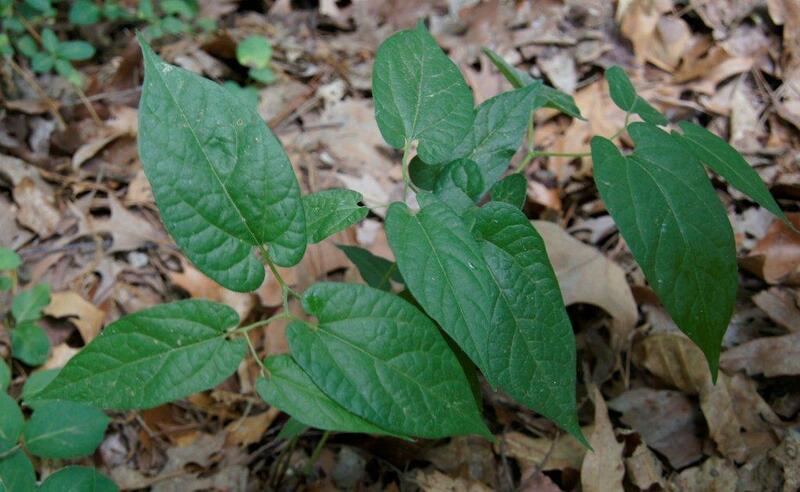 Along the Dancing Rabbit Trail at the park, a single perfect specimen of Virginia snakeroot, Aristolochia serpentaria, a small perennial herb in the same genus as the high-climbing, woody pipevine—the flowers bloom at ground level in the leaf litter where several young fruits were developing, and the spicy-smelling roots were used by old timers to flavor their homemade candy. 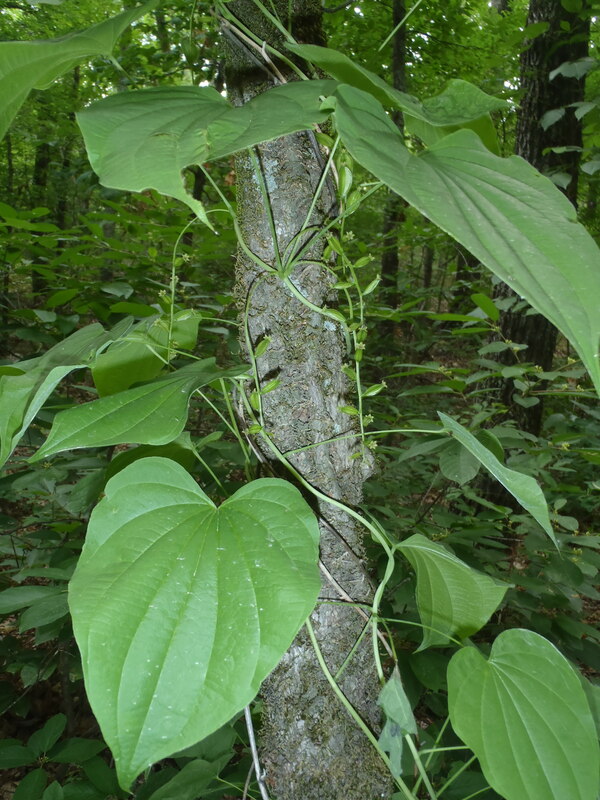 And along the Spider Creek Trail, native wild yam, Dioscorea villosa, with both staminate and pistillate plants in full flower—the foamy sprays of male flowers are especially striking. Travis Marsico’s program Saturday evening was titled, “Stop and Smell the Roses: They Are Trying to Tell You Something.” The highlight of Travis’s energetic presentation occurred when his film clip of a parasitic dodder vine, Cuscuta sp., seeking a host tomato plant failed to cooperate with the ASU computer projector and could not be screened. Without skipping a beat, Travis shifted to Plan B, personally acting out the role of the dodder and commandeering an audience volunteer, Eric Sundell, to ad lib the part of the tomato plant. The sketch was a big hit. And the fact that it cannot be seen on YouTube suggests that ANPS needs to put more energy into recruiting people who don’t qualify for senior discounts. 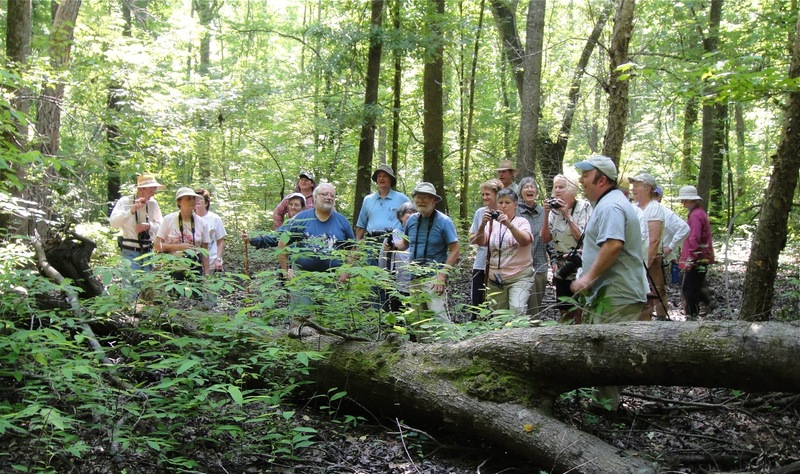 Brent Baker led the Sunday morning trip to the St. Francis Sunken Lands Wildlife Management Area, where about 20 of us admired the world’s largest known population of pondberry, Lindera melissifolia, an Arkansas native shrub on the U.S. Fish and Wildlife Threatened and Endangered Species list. 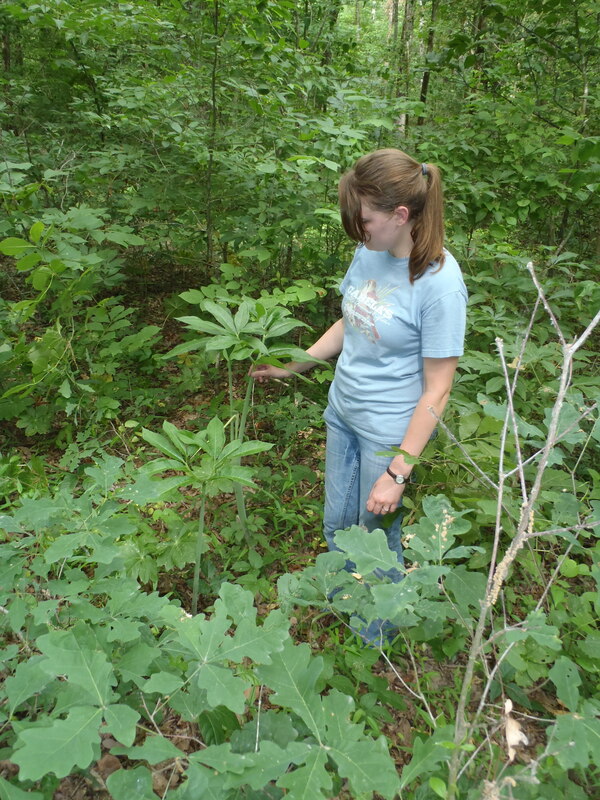 For those of us who live in more or less upland, well drained habitats, the Sunken Lands are an exotic, foreign place, dominated by the most aquatic of Arkansas trees: baldcypress of course, but also overcup oak, Nuttall oak, water oak, river birch, Drummond red maple, green ash, sycamore, American elm, and black gum. The low mounds supported most of the woody vegetation. The swales were black with leaf litter scarcely decomposed under prolonged anaerobic conditions. It was a different botanical world. 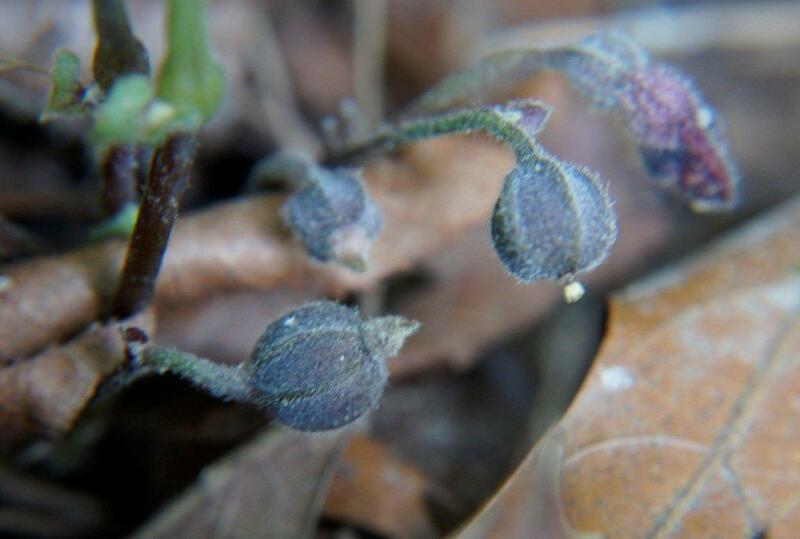 This entry was posted in Chapter Meetings and tagged Arkansas Native Plant Society, Crowley's Ridge Nature Center, Crowley's Ridge State Park, Larry Lowman, St. Francis Sunken Lands Wildlife Management Area, Travis Marsico. Bookmark the permalink.